Completion of the CuveWaters research and development project: Natural water sources have always been in short supply in Northern Namibia. It is becoming clear that water as a resource is going to come under increasing pressure from climate change. How can the population still be guaranteed a regular supply of drinking water? How can farm land be effectively irrigated or sewage disposed of safely? In the German-Namibian research and development project entitled CuveWaters, close collaboration between scientist/researchers, partners in the field, and the population itself has made it possible to develop and implement solutions for a sustainable water supply and wastewater disposal. 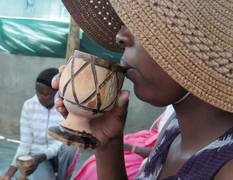 These solutions serve as a blueprint for other so-called semi-arid regions of the world. CuveWaters was funded by the Federal Ministry for Education and Research (BMBF). After almost 10 years of research and development, the CuveWaters team headed by ISOE – Institute for Social-Ecological Research today presented its comprehensive results on integrated water resource management in Windhoek. The complex supply system was implemented at different sites in the Cuvelai-Etosha Basin, whose population is heavily affected by climatic extremes such as flooding and persistent periods of drought. In collaboration with the Technische Universität Darmstadt, partners in the field and local Namibian partners, it was possible with the help of solar-powered desalination plants to generate new sources of drinking water, even at locations a long way from central water pipelines. The systems for collecting rainwater and storing floodwater provide water with which to irrigate farmland. They represent an innovation for this region, and enable several families to cultivate vegetables all year round and sell them at the local markets. But CuveWaters has also given rise to an innovative, energy-efficient sanitation and wastewater concept with subsequent water recycling. Around 1500 inhabitants of Outapi, most of whom come from low-income households, are now able to use washhouses, showers and toilets. Nutrient-rich service water is recovered from the wastewater and used for irrigation as well as for biogas with which to generate heat and electricity. Residents received training in construction, operation and maintenance to prepare them for the time when they took control of the facilities themselves. This training also extended to irrigation for market gardening and correct usage of the sanitation concept as a whole. An integral part of the project was teaching the local population to take personal responsibility via a ‘Capacity Development’ scheme and devising concepts for so-called ‘good governance’. This way, the structures that are now in place can be maintained in the long term. 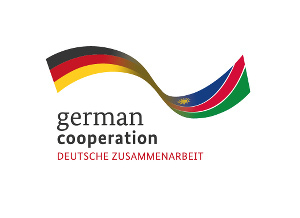 The German ambassador to Namibia, Matthias Schlaga, referred to this learning process within the “alliance between research and practice that is CuveWaters” as a milestone in the 25-year collaboration between Namibia and Germany. He is sure that “The project team has developed sustainable solutions for the water supply in northern Namibia”, which is a key to the future of Namibia. To allow the results from this pilot project to be used for the whole of southern Africa (and beyond in other semi-arid regions of the world), the project team has made its extensive results available on its website. Here one can find fact sheets on the individual technologies: Sanitation and Water Reuse, Groundwater Desalination, Floodwater Harvesting and Rainwater Harvesting. In addition, a comprehensive Technology Toolkit for Rain- and Floodwater Harvesting (RFWH Toolkit) has been assembled. It shows exactly what is needed to construct and use what is still a novel application of rainwater and floodwater collection facilities in Namibia. Sharing our knowledge is an essential part of the CuveWaters philosophy. Our aim is to develop instruments to support decision-making and planning processes, even beyond the project’s duration. CuveWaters is a cooperative project run by ISOE – Institute for Social-Ecological Research and the Technische Universität Darmstadt. It is funded by the Federal Ministry for Education and Research (BMBF). The partners in Namibia include the Ministry of Agriculture, Water and Forestry (MAWF), Outapi Town Council and the Desert Research Foundation of Namibia (DRFN). The project sites are Iipopo, Outapi, Epyeshona, Akutsima and Amarika.